The idea of Batman ’66 and Archie teaming up makes all the sense in the world, right? Two cheerful, winking universes coming together for one cheerful, winking six-issue adventure, right? 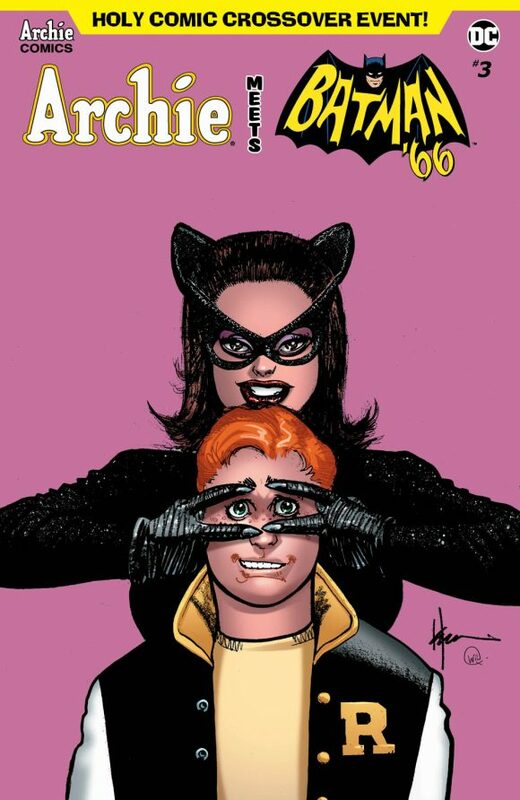 So I just love the counterintuitive notion of Howard Chaykin, who at the age of 67 is still comics’ enfant terrible, taking the whole thing on with a variant cover for Archie Meets Batman ’66 #3, out in September. Yep. Nailed it. Whoever came up with idea of bringing Chaykin aboard — good on ya. Anyway, in case you haven’t been following along, solicitations are out next week — and we’re unveiling all six Archie Meets Batman ’66 #3 covers one-by-one through Monday. Wanna see Mike Allred’s, along with the official solicitation info? You do. Click here. Wanna see Art Baltazar’s? You do. Click here. Wanna see Veronica Fish’s? You do. Click here.